Remaster, Remake, Reboot or just a port? Remastering or remaking a video game is kinda hot nowadays. We see a lot of these classic video games getting a second chance and by a lot I mean like … a lot! But people seem to be confused about whether a game is called a remake, a reboot or a remaster. Or something completely else of course. In this article I will try to settle the debate. I will explain once and for all in which category your newly released old video game belongs to. This entry was posted in Blog, Retro, Video Games and tagged Demake, HD Port, HD Remaster, Port, Reboot, Reimagining, Remake, Remaster, Rerelease. Bookmark the permalink. Nintendo! 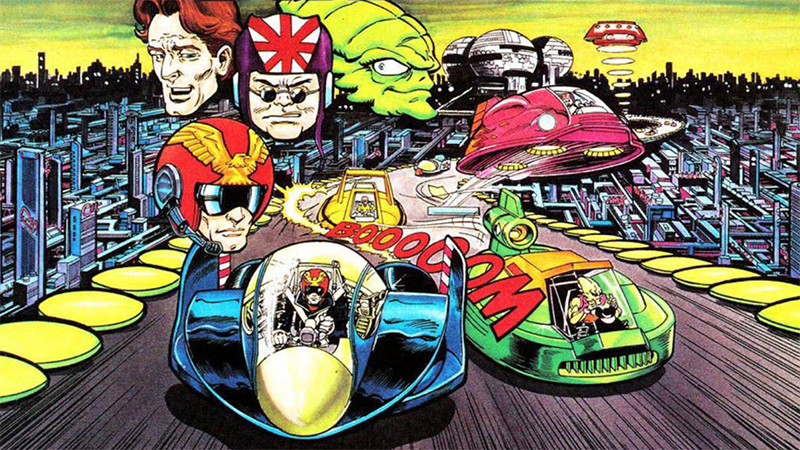 Stop teasing me and give me my F-zero! 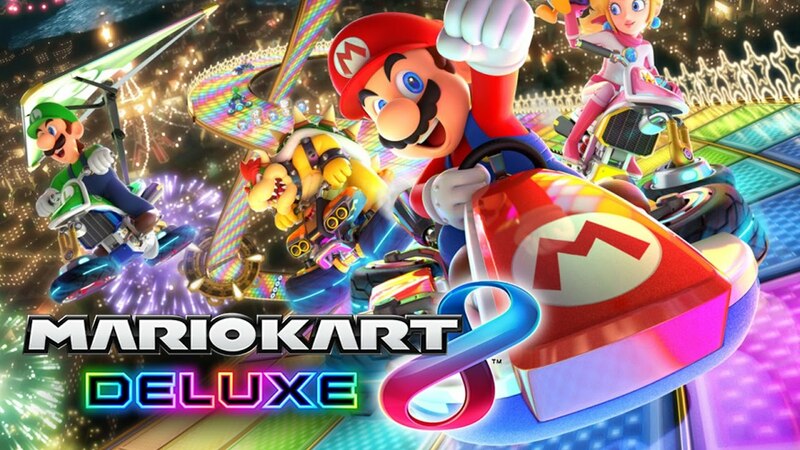 This entry was posted in Blog, Retro, Video Games and tagged 64DD, Burnout, Captain Falcon, Criterion Games, F-Zero, F-Zero AX, F-Zero Climax, F-Zero GX, F-Zero X, Majora's Mask, Nintendo, Nintendo 3DS, Nintendo Switch, Ocarina of Time, Starfox 64. Bookmark the permalink. This entry was posted in Blog, Video Games and tagged 1-2-Switch, 2014, 2015, Animal Crossing, Breath of the Wild, Exclusives, Fire Emblem, Mario Kart 8, Mario Tennis, Nintendo, Nintendo Switch, Nintendo Wii U, Pokemon, Pokemon RPG, Smash bros., Snipperclips, Splatoon 2, Srms, Star Fox, Super Mario Odyssey, Switch, Wii U, Yoshi, Zelda. Bookmark the permalink. This entry was posted in Blog, Retro, Video Games and tagged Big N, HAL, HAL Laboratory, Kirby, Kirby Canvas Curse, Kirby Rainbow Curse, Nintendo, Nintendo DS, Nintendo Switch, Nintendo Wii U, platform game, Power Paintbrush, Rainbow Paintbrush, stylus, Wii U. Bookmark the permalink. 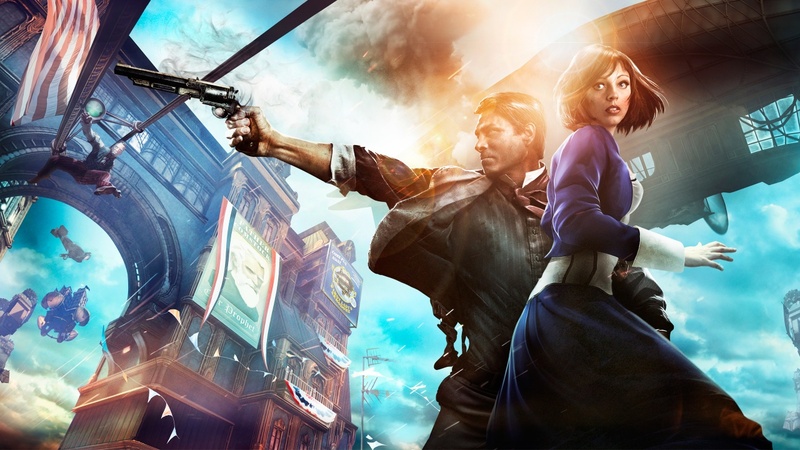 This entry was posted in Blog, Retro, Video Games and tagged Achievements, Bioshock, Bioshock 2, Bioshock Infinite, Columbia, Dishonored, Dystopia, Howlongtobeat.com, Irrational Games, Reviews, Spec-Ops: The Line, The Witcher 3, Videogames, Writing, Xbox 360, Xbox One. Bookmark the permalink. Micro Maniacs: The best top-down racer nobody played! This entry was posted in Blog, Retro, Video Games and tagged 2000, Codemasters, Gameboy Color, Micro, Micro Machines, Micro Machines V3, Micro Maniacs, Playstation, PsOne, Racing, Sony Playstation, SuperSonic Software, Top-down racer, Top-down racing, V4. Bookmark the permalink. You’re hopefully not here to expect to see some video games heavily influenced by hip hop culture. Because in that case you can’t be much further off. 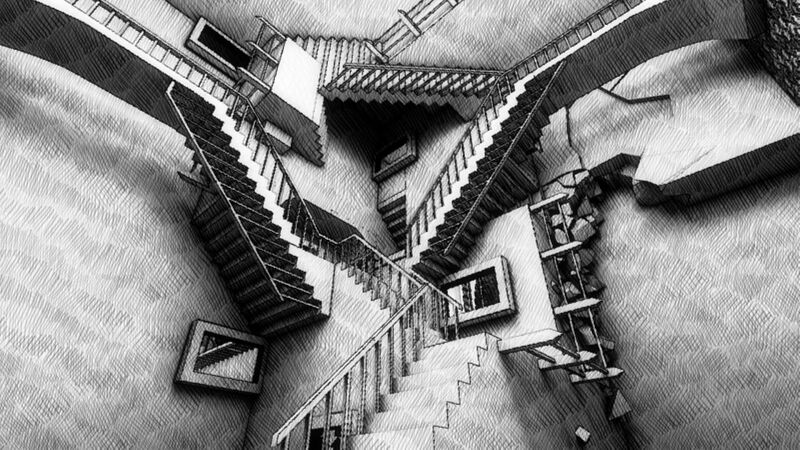 The works made by the Dutch graphic artist Maurits Cornelis Escher mainly feature a ton of mathematical objects and toyed around with perspectives. This can be seen in several of his works of art like Relativity (1953) and Waterfall (1961) amongst many others. Nowadays we see video game artists getting inspired by these great works of art and we often see these forms of inspiration featured in video games. However M.C. Escher, which is his well known abbreviated name, died in 1972 and never might have heard of the video game as a medium. In this article we take a look at a handful of video games that contain both visual and gameplay references to Escher’s art. This entry was posted in Listicles, Video Games and tagged Arcade, Art, Back to Bed, Echochrome, Escher, Fragments of Euclid, Gottlieb, Gravity, M.C. Escher, Manifold Garden, Maurits Cornelis Escher, MC Escher, Monument Valley, Q*bert, Relativity, Sony Playstation, The Bridge, UsTwo, Videogames, Waterfall. Bookmark the permalink.